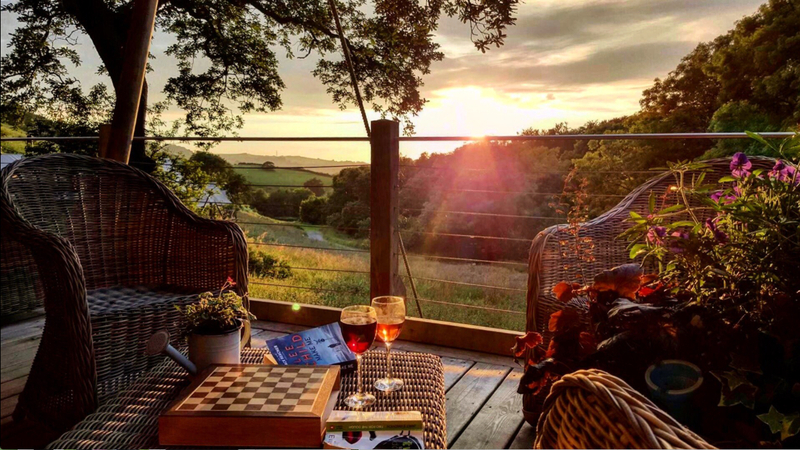 Nestling in a secret valley, overlooking the North Devon coast, on the western border of Exmoor National Park lie five fully equipped, beautifully furnished luxury Safari lodges. Every detail considered, nothing overlooked, everything included! Each lodge sleeps 6 and 2 dogs. From firewood to fizz, coffee to conditioner, lemons to loo paper: everything to make your stay as comfortable as possible is included. You should only have to bring clothes, a toothbrush and food, but we can cater for you if you wish. Freshly baked bread and pastries, pies and pasties, scrumptious suppers and delicious desserts. Place your order by 8pm and collect from the Larder shop the next day. Simply delicious made deliciously simple! 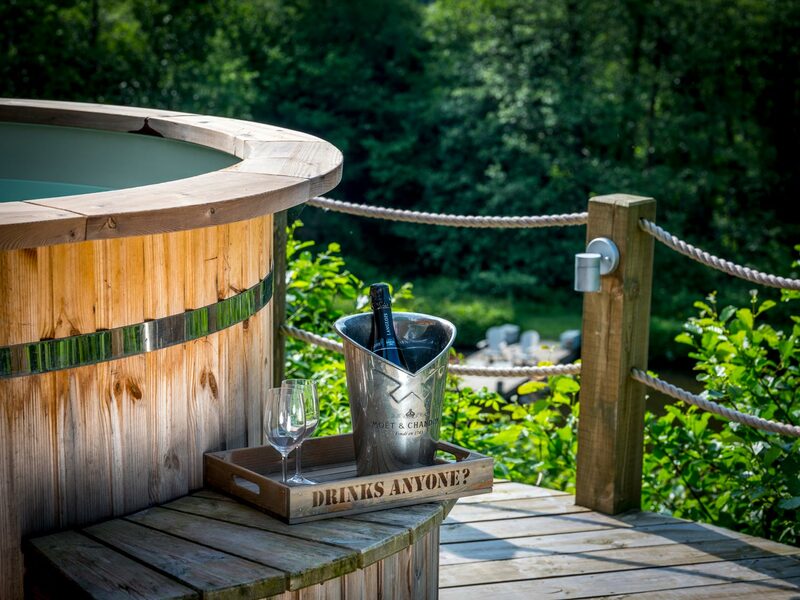 Positioned on its very own deck above the lake, our hot tub looks out across the valley, towards the sea and setting sun. It even has its very own changing room and outdoor heated shower! A truly magical and relaxing experience. 17 acres of beautiful countryside, including meadows, ancient woods and streamside walks, plus a boating lake complete with rowing boats and stocked with rainbow trout. So, when you have paddled around the island, why not borrow a rod and try to catch your supper? 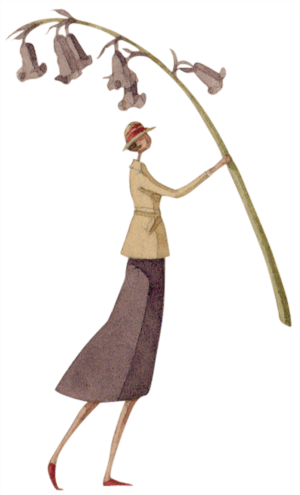 Play rounders in the meadow, football on the games field, skittles on the games terrace, or table tennis under cover. Plus giant chess, netball and basketball. Hit a rounder, score a goal, shoot a hoop or check mate! 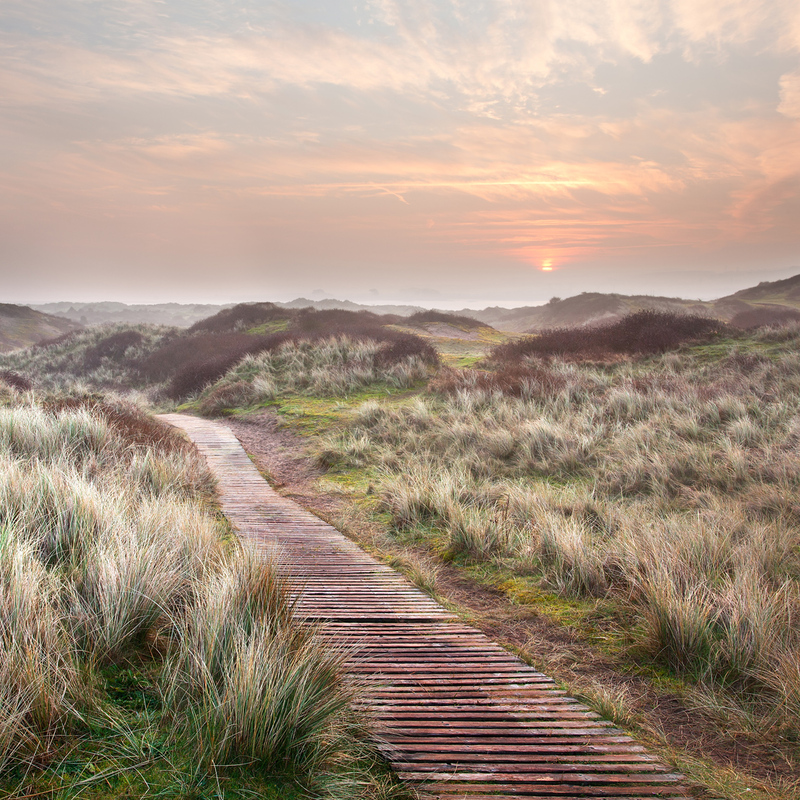 We are just 20 minutes from the best beach in Britain, with another 15 beaches within easy reach of us! Exmoor National Park: beautiful and mysterious. Stunning countryside, amazing wildlife and charming villages that seem to have been lost in time all waiting to be discovered. 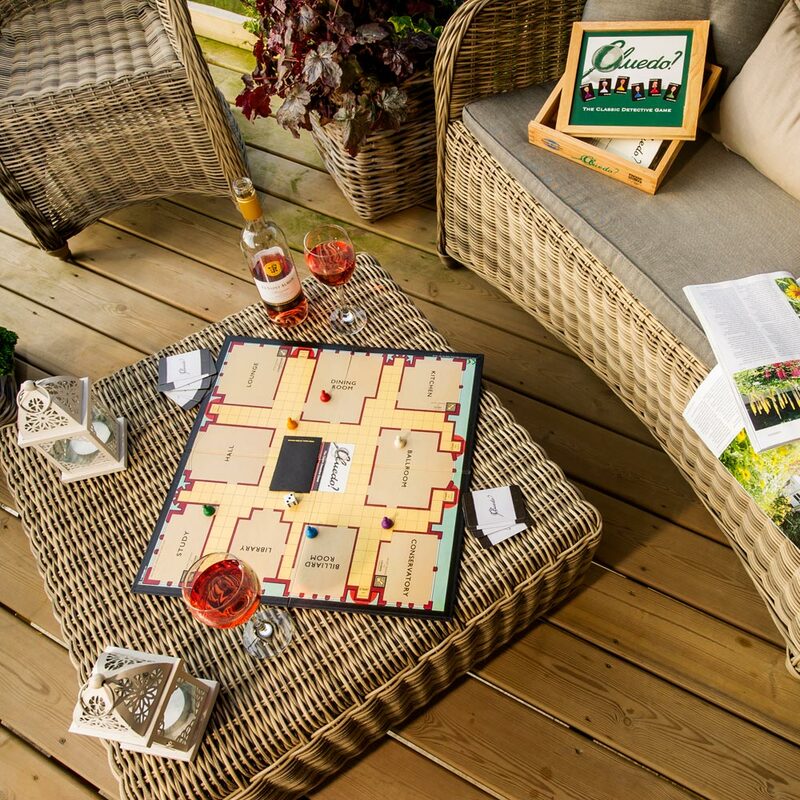 Put away the gadgets and enjoy a game of Monopoly, Scrabble, Uno, Chess, Draughts, Cluedo, Risk, Dobble or Exploding Kittens! Or curl up on the vintage leather Chesterfield sofa, whilst you bask in the warmth or the wood burner. Our wood burning stove keeps the lodge warm and provides a means of cooking, either on top as you would on a hob, or in its spacious oven compartment. There is even a slot for warming your plates! We also provide a gas ring so you can enjoy hot drinks without having to fire up the stove. Each lodge has and en-suite shower room and separate en-suite wash room, with flushing loo and basin. Hot water for the shower, sink and basin is generated by a wood burning boiler, that also ensures the shower room is warm as toast! We provide all your bath linen, plus a gorgeous range of natural aromatherapy bathroom products. Snuggle into a warm bed under a thick duet. Enjoy the feel of luxurious White Company Egyptian Cotton bed linen. Be lulled to sleep by the babble of the stream, the wind in the trees, or the patter of rain on the canvas roof. Hear the owls calling to each other. Breathe in that fresh air and sleep soundly. Sweet dreams! Watch the sun set on the sea, or the stars twinkling in the night sky. The large deck area at the from of the lodge has a sofa, table and chairs so you can sit back and enjoy the amazing views! There is also a private BBQ area above each lodge, complete with Kadai firebowl, bench and picnic table. The Longlands Large Book of Adventures in each lodge is filled with enough ideas to fill a month, never mind a weekend! We promise you won’t be bored! Check out our adventure pages for more information. 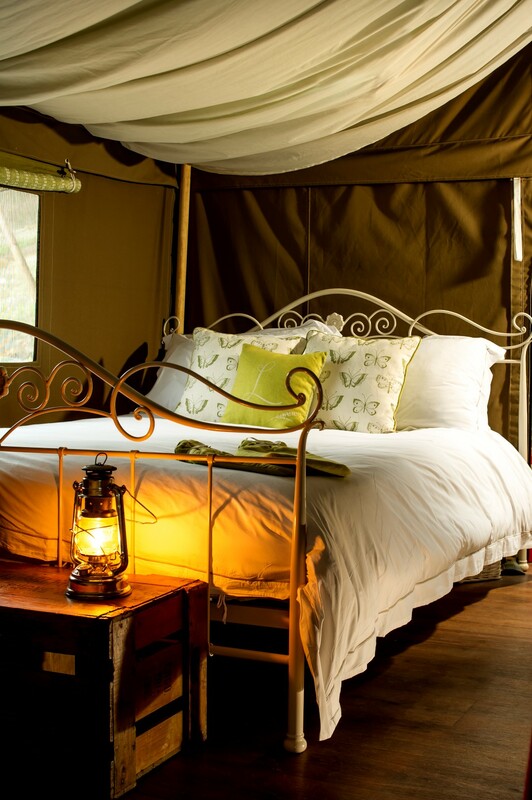 We strive to create the best glamping experience that we possibly can. We are delighted that our efforts have been recognised and rewarded with 6 consecutive GOLD awards: 3 in the SouthWest Tourism Awards and 3 in the Devon Tourism Awards. 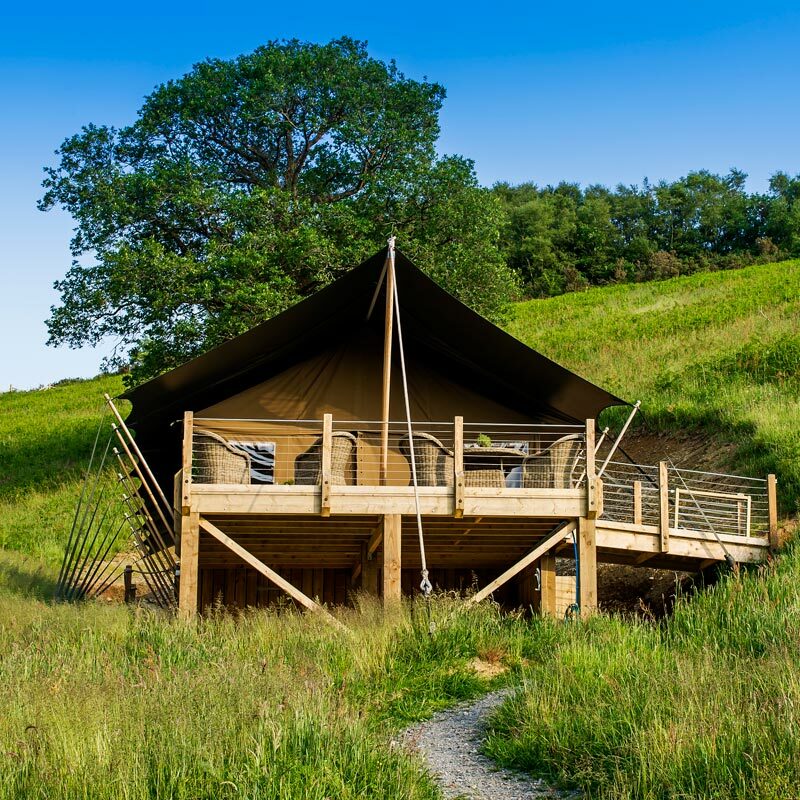 And we were one of three finalists in the VisitEngland’s Awards for Excellence in Tourism in 2017: The only year that Glamping has been included as an award category. More important than awards is the fact that our guests choose to come back year after year. We thank them for sharing their experiences, adventures and thoughts for even more improvements! 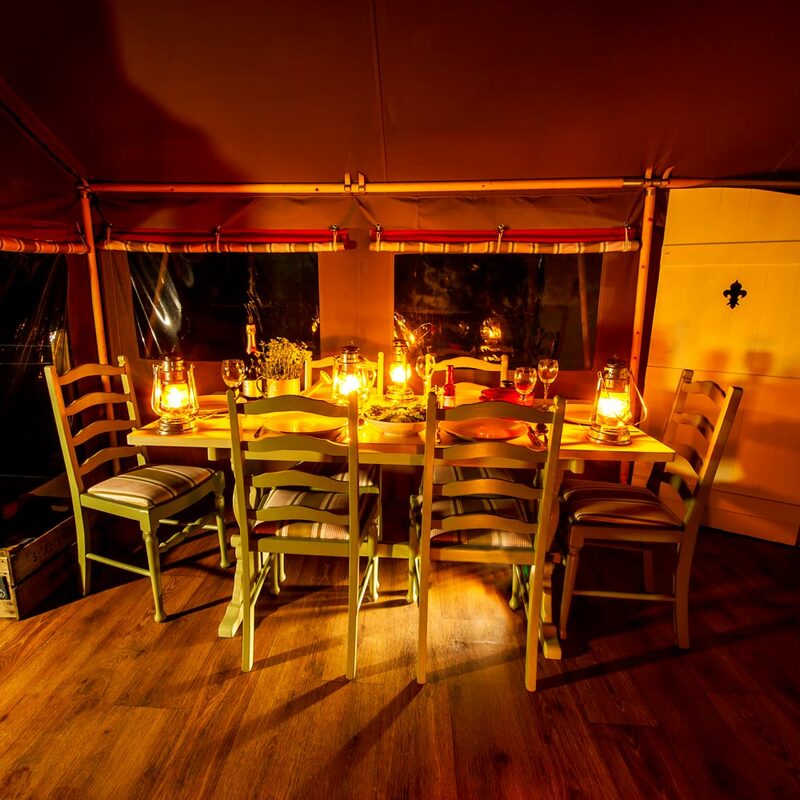 We are often asked what brought us to Devon and inspired us to set up a luxury glamping site. We were drawn by the beautiful setting, the promise of plenty of projects, and the opportunities for fun and adventure with family and friends. We found all this and more!